On one of my mostly fruitless searches for summer tops I stumbled upon this piece at H&M and fell in love. 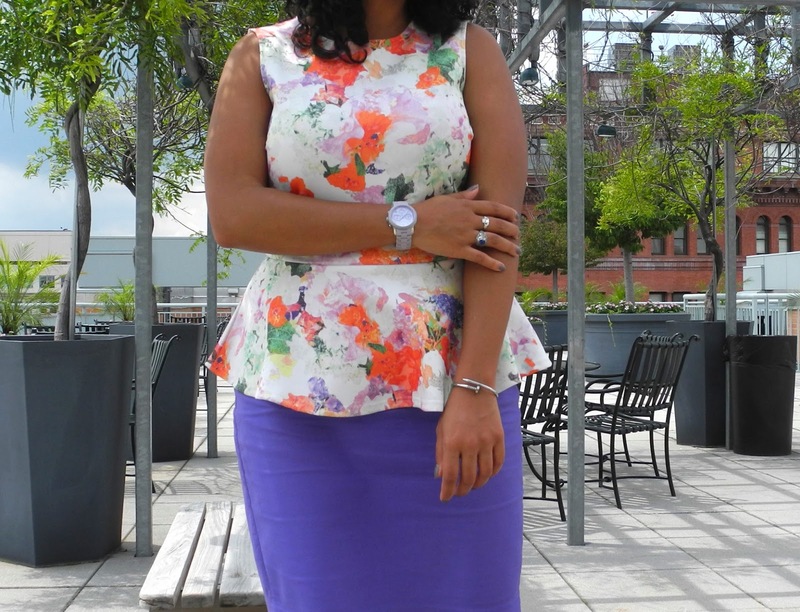 It's got just enough shape to the fabric to make the peplum really flattering and the floral has enough colors to allow pairings with almost everything I own. Plus - neon shoes! @Elle - Thanks! I love Spring & Summer colors (just not the temperatures! ).